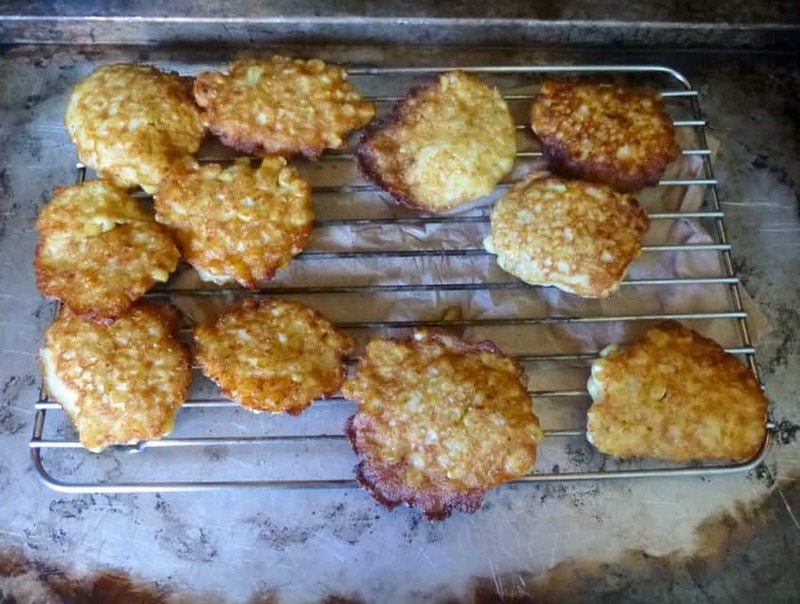 my dad saw this recipe for corn fritters and latched on. i was bored + i never really turn down a chance to bake/cook, so i got roped into helping. mixed the egg yolks, flour, cornmeal, sugar, salt and pepper first, then added the corn (all of it; we didn’t measure out 9 oz like the og recipe wanted us to do); i don’t think you’re supposed to do that. you see, the first mix got very pastey and clumpy and it was a joooyyyy stirring that into the corn. so really, you should mix the egg yolk and corn, then everything else in. and then when i tried to fold in the egg white, everything got a bit wet. the egg white was weepy, even though dad whipped it just a minute before i folded it into the rest of the batter. whoooo knows. In a small bowl, beat the egg yolks until thick and lemon colored. Stir in the corn; then stir in the flour, cornmeal, sugar, salt and pepper. In a medium bowl, beat the egg whites until stiff peaks form. Gently fold the egg whites into the corn mixture. Heat some oil in a large frying pan; add the batter by rounded tablespoons. Fry the fritters, a few at a time, until they are golden brown and crisp on both sides.